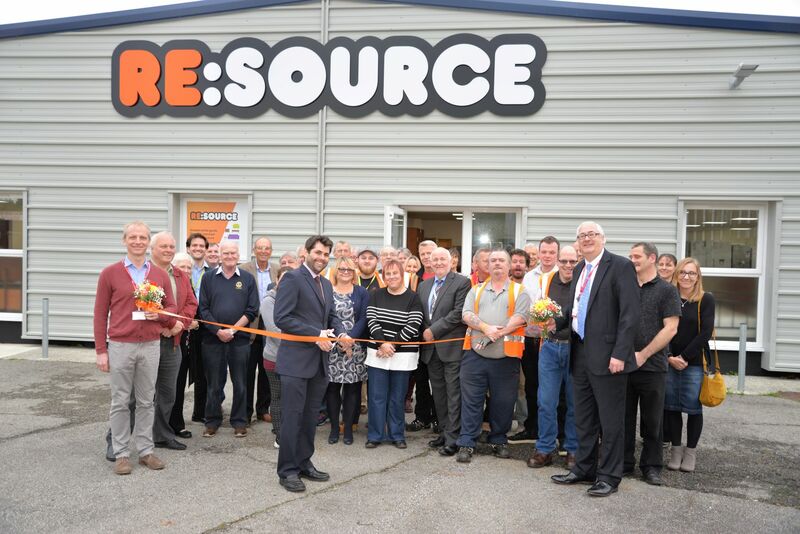 RE:SOURCE is a Bodmin based social enterprise business that raises funds for Cornwall Hospice Care. At its showroom in 1/3 Normandy Way (PL31 1ET) the team offer graded white goods and pre-loved vintage and modern furniture, lovingly restored where necessary. RE:SOURCE offers a wide range of graded white goods, including washing machines, dryers, dishwashers, cookers, fridges and freezers, all from the manufacturer Beko. The items come with a six-month warranty, are of good quality and often in the original packaging, and are graded before being sold. Also on sale is an ever changing range of vintage and modern furniture, predominately donated, and that has in some cases been carefully restored by a team of volunteers. Paul Brinsley, Chief Executive of Cornwall Hospice Care says; “We’re delighted to be the charity that benefits from RE:SOURCE and are equally pleased to welcome the team who have joined us to continue what they have been doing so well for many years now. We are excited about the future for this thriving business that forms a key part of the economy of Bodmin, a town we are delighted to be associated with. RE:SOURCE is open from 9am to 5pm Monday to Saturday and from 10am to 4pm on Sunday. Follow the RE:SOURCE Facebook and Twitter pages for news of seasonal sales and special offers. Address: 1/3 Normandy Way, Bodmin, Cornwall, PL31 1ET.